Wiped my HTC SD card... recovery options! 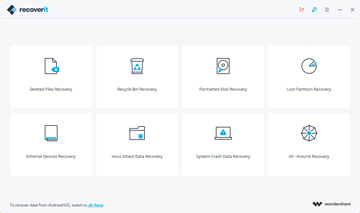 Note: It is worth noting that Recoverit phone recovery program isn't designed to recover lost data from iPhone or phones without SD card. 1Wiped my HTC SD card... recovery options! After a travel to NYC taking lots of pics/videos with my phone, I was at work bored and setting up my email account on my phone, and mistakenly deleted all of my pics and videos. There is no backup! Any way to find them all back? Things happen again! There are lots of people in the forum asking for a way to get back their lost data that lost intentionally, while other people still replay this. If you are the unlucky guy, make sure that don't use your HTC phone to take any new photos or videos, for the new data will erase the lost picture and videos permanently. Keep it original and find a HTC recovery tool to rescue your lost data quickly. Download the free trial version below to scan out lost data and preview them to check the quality before recovery. Note: If you found the data you want with this HTC recovery, please save the scan result before you get the paid version. Then you only need to import the result and recover the data, to prevent data loss later. Here let's take the Windows version of Recoverit HTC Recovery to perform the HTC recovery in details. 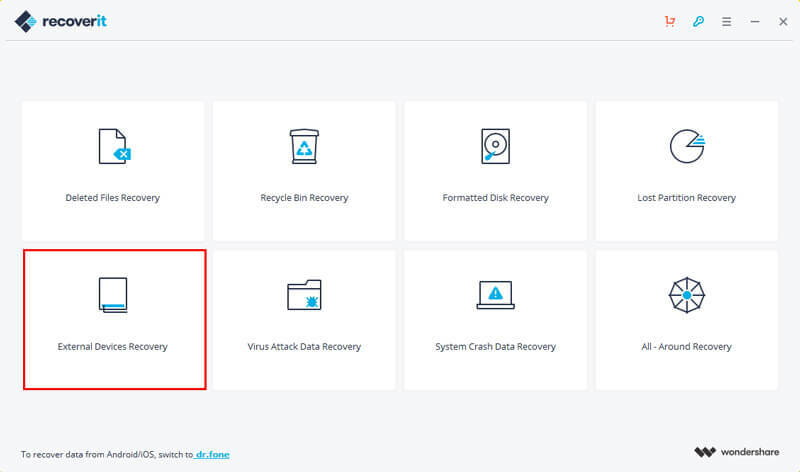 To recover deleted files from HTC, you can select the recovery mode "External Devices Recovery" to start. Here you can get all the disk or devices that connected to your computer. Choose your HTC and hit the "Start" to find the lost photos and videos. 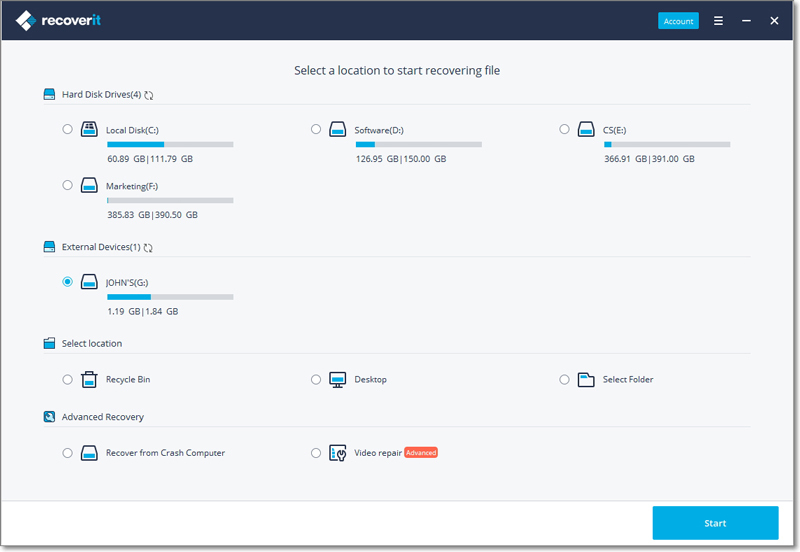 You can go to "All-Around Recovery" if quick scan can't find your lost files. The deep scan will start deeply search your HTC. When the scan finishes, all the recoverable audio, photo and video files are displayed, and you can preview them all one by one to check the quality. Then check those you want back and "Recover" them with one click. Note: Don't save the recovered data on the card again. Find another place for it such as on the computer or other external disk, for safety consideration.